Not long ago, having a video surveillance system installed in your home was considered a luxury, available only to a few. 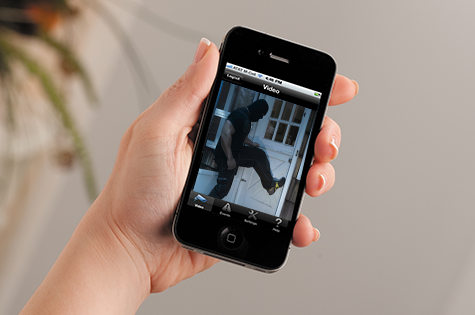 Now, the affordability of cameras has made them an increasingly common addition to home security systems. In addition to enhancing security, cameras also offer homeowners assistance with their daily routines – something as simple as being able to ensure that a package has arrived at your front door or that the kids have made it safely home after school – is now possible with home security cameras. Whether you’ve had an instance that has prompted the need for security cameras or if you just want to use them as a precautionary tool to detect home security events, Black Dog Fire & Security has a system that suits your needs. Outdoor cameras can be used at entrances to verify the identity of visitors and near potential risk areas like swimming pools for safety issues. Adding cameras with infrared technology will allow you to view nighttime activity outside your home. 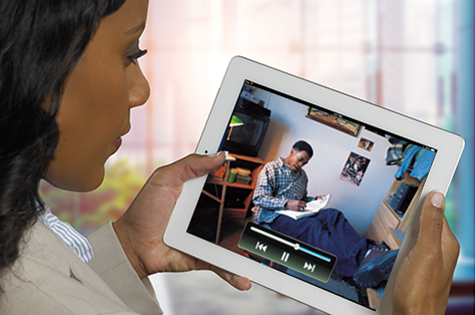 With Total Connect Video Services, you can use your smart phone to see what’s happening outside instead of putting yourself in possible danger. Indoor cameras can be used near entrances to monitor comings and goings of loved ones – like elderly relatives who may need you to ensure they are safe when they have used a medical alert button. Camera systems can be set up to record to a DVR so that you can archive and review footage – ideal for homeowners with recurring issues – or can be set up for live view as events happen. Camera systems add a layer of security, but for many, they become part of their daily routine. Want to know what the people in your home are doing when you are not there? Remote-view cameras let you know if in-home workers (cleaning services or caregivers) are doing what they are supposed to and that no one is in your home without your permission (kids or babysitters having friends over). Moms and dads can use remote- view cameras to look in on their toddler when he takes his first steps or make sure their teenagers are doing homework. During the workday, pet parents can take a break to check up their four-legged friends, too.